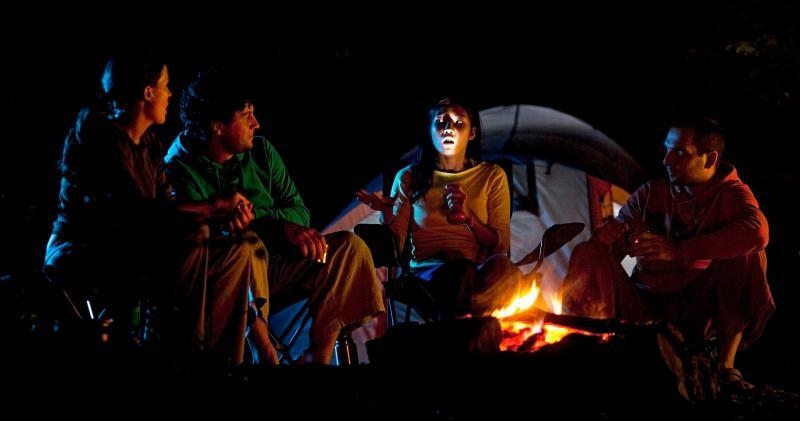 Funny stories about ghosts are perfect for sharing scary ghost tales around a campfire. One funny ghost story tells about a skeptic who takes a dare to visit a cemetery at night in an attempt to prove to his friends that ghosts don't exist. The next morning the friends find him trapped in the cemetery. When another skeptic is invited to join a group of professional paranormal investigators, he's confident that he can debunk whatever the haunted house throws at him. He soon learns a valuable lesson about tempting a ghost! These funny stories about ghosts are perfect stories for kids. This funny scary ghost story for kids tells how friends Tom, Fred, and John were sitting at the cafeteria table during lunchtime. The three friends were discussing local urban legends. "According to my Uncle, his friend walked into the cemetery on a full moon, and at the stroke of midnight the hand of a skeleton reached up out of the ground and grabbed his leg," Tom explained as he twirled his fork around the pile of spaghetti on his plate. "Yeah, whatever," John replied as he rolled his eyes. "So, um, what happened then?" Fred stuttered as he stared at Tim with wide and fearful eyes. "Well, they say that he was pulled down under the dirt and, trapped there, he died of suffocation," Tom answered, glancing back and forth at his two friends. "Wow," Fred said as he broke a corner off his cornbread and popped it in his mouth. "Get real. That's one of the oldest stories about Greywood Cemetery. Everyone knows it's a bunch of baloney," John said, looking at Tom with disdain. "Okay then. 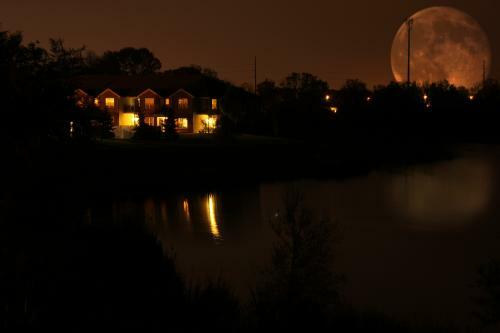 Tomorrow night is a full moon. I dare you to stick a knife in the ground at midnight and leave it there. We'll check in the morning to see if you really did it." Tom answered, matching John's look with a smirk. "Fine," Tom said as he shoved his hand across the table. John reached over his plate, grasped his friend's hand firmly, and shook it. The deal was made. 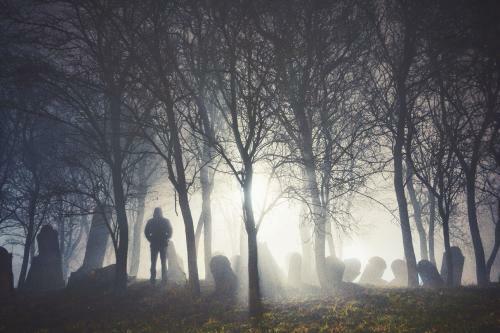 The next night, John crept silently into the dark and foreboding cemetery. It was far spookier than he remembered it being during the day. Finally, he found a fresh grave plot that had recently been filled in. He quickly removed the jack-knife from his jacket pocket and unfolded the blade. As he watched the moon's reflection dance over the silver blade, he realized that his hand was shaking. Whatever...it's just a story, just do it. He squatted down, closed his eyes, and slammed the blade into the freshly packed earth. He waited a few moments. He started to stand, but at that very moment something tugged on his jacket. He tried harder to stand up and realized that something had a firm grip on his jacket and was pulling him down toward the ground. His heart froze, and he screamed at the top of his lungs until all of his breath was expelled, and he passed out. The next morning, his friends found him asleep by the grave. When they woke him, he started to tell the story, and then they all quickly looked down at his jacket where he'd been grabbed and pulled to the ground. Immediately, Tom and Fred burst into hysterical laughter. John just sat there staring at his jacket. The corner was pinned to the ground by the blade that he, himself, had thrust through it. A paranormal investigative group in Connecticut were called to a haunted house. The homeowners warned the group that the house was haunted by an especially "evil" spirit that enjoyed playing pranks. The team leader of the paranormal society invited a friend from Massachusetts to come along. He was a physicist and an amateur paranormal investigator, who everyone called "Doc." Doc believed that there were no such things as ghosts or poltergeists, and that every type of haunting or unusual phenomenon had a reasonable, earthly explanation. The group traveled across the State of Connecticut in three vehicles filled with team members and equipment. Upon arriving at the home, the team immediately started setting up the monitoring equipment as the team leader and his friend, Doc, toured the home with the homeowner. At one point of the tour, when the three men approached the staircase that led to the second floor, they heard very loud footsteps on the upstairs landing. "Is anyone else home?" Doc asked the homeowner. "No, my wife's at work and we have no kids," the homeowner replied. Excited to have his first opportunity to confront an alleged ghostly spirit, Doc walked to the foot of the stairs. "Come on! You can do better than that you lousy ghost!" Doc yelled up the stairwell. "Doc, I wouldn't do that if I were you," the paranormal team leader advised, but Doc ignored him. Instead, he stepped up onto the bottom step. "If you're a ghost, why don't you show us what you can really do, you lousy, no-good prankster!" Doc yelled. The moment the last word came out of his mouth, his pants fell down around his ankles. The homeowner and the team leader burst into laughter as Doc, terrified, struggled to pull his pants back up. He then stumbled as fast as he could out the front door of the house. He refused to re-enter the house or to talk about the incident ever again. However, the event went down in the records as one of the most humorous moments the paranormal team had ever witnessed in a haunted home. They still tell this funny ghost story to every new team member. These two funny ghost stories give very different endings. The first one demonstrates how one man was his worst enemy and had unknowingly trapped himself in the cemetery. The second story reveals a mischievous ghost that sets out to put a disbeliever in his place. Both endings are the opposite of what the reader expects and the surprise element makes both stories funny and easy to retell.